I never really paid too much attention to the KLM loyalty program even though I did have a fair amount of miles with them. The reason being is that it seemed so much harder to accumulate which is still quite true. 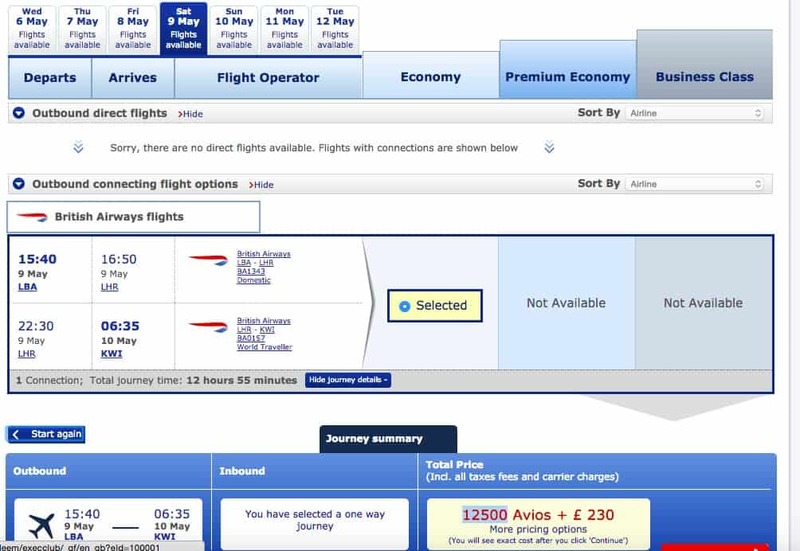 However after the British Airways devaluation which really hit me and many others very hard after April 2015, I won’t have the luxury of using a free award connection on European flights which is what I am predominantly using it for. I don’t live in London but rather in the North of the UK with very few airlines servicing my local airport. Which really means that SAS, KLM and BA are the big companies who fly from Leeds Bradford. KLM services my local airport with the same amount of flights that BA has. Amsterdam is only 50minutes flight time from Leeds which is the exact same time I need to fly down to London. Considering that my connection to Europe for an award flight with BA just doubled, KLM stays exactly the same. Even the cash component on taxes won’t be much different. 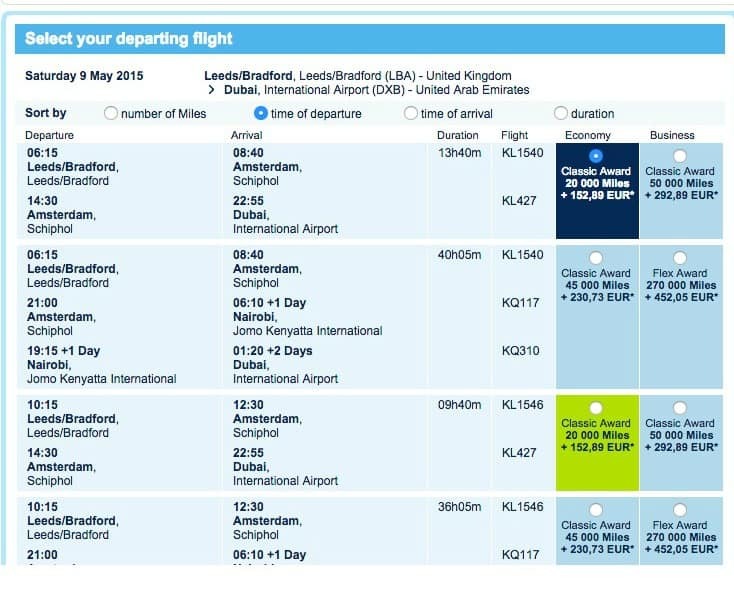 KLM has some excellent flights scheduled from Manchester, Edinburgh, Leeds, Newcastle and from what I see it actually sometimes cuts my travel time if I were to use BA. KLM is an American Express partner which means that I can transfer my Amex points to them with 1:1 ratio. 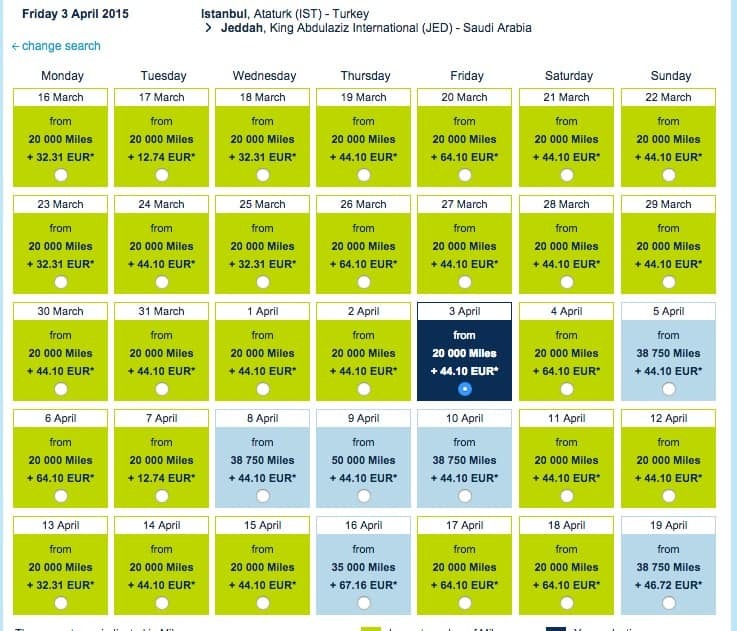 If you have the American Express Gold card which I recommend for Muslim travelers then you can get some really good deals with their KLM Promo Awards. 3. Monthly KLM Promo Awards. KLM Promo Awards are a great way to travel for less miles. 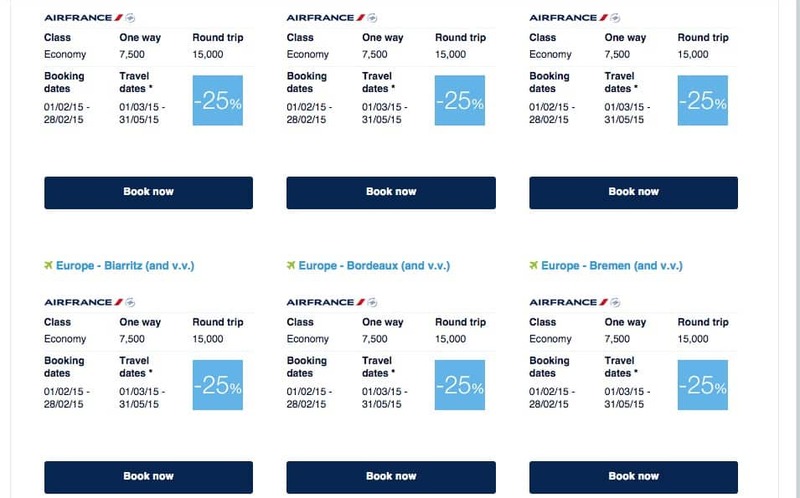 KLM promos are flights that KLM publishes on the 1st of every month which require less miles. You have the ability to book two months in advance and every month there is a different destination. I predominantly fly in economy and I find that if I am flexible with my next holiday destination the KLM Promo Awards are an awesome way to see more places for less miles. If you have a family it means you can take them to the USA or anywhere else from your local UK or European airport for less miles and taxes. Plus the connection to Amsterdam doesn’t require more miles. They offer up to 50% off their usual miles for all classes. As I am pretty flexible and I love a good deal myself I think this is an awesome way to save money and travel more. Which means that you don’t have to save for years on end for a redemption. Currently they have some great promotions to Kuwait for only 20,000 miles return and £150 in taxes. If you have the Amex card this means your sign up bonus is enough to give you a return flight to Kuwait. KLM is a SkyTeam partner and you can redeem/earn points for Saudi airlines flights. This means that if you are a Muslim your chances of a redemption and Umrah just increased. 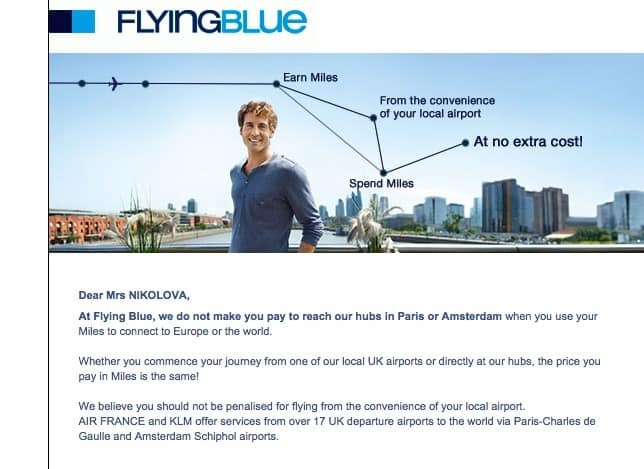 Even if you fly with Saudi Airlines you can credit your miles to KLM Flying blue and use them for another redemption. You get more flexibility with mixing and matching between Avios and Saudi Airlines. In the series with regards to my Umrah I will show you how you can take advantage of this as it is something I did with my Umrah. 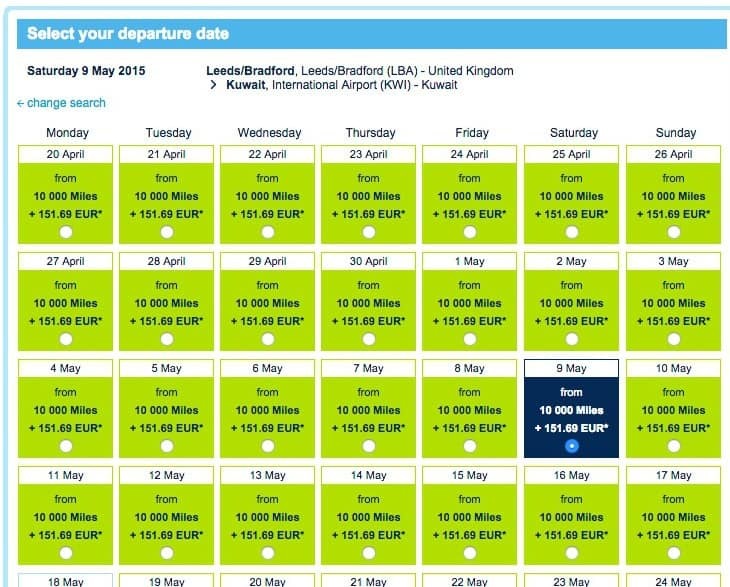 Unfortunately it seems that you cannot use the KLM promos in the hope of less miles for Umrah as KLM doesn’t service this route. You still however can redeem for Saudia flights which for me is an awesome deal even in peak season like Ramadan when cash prices are crazy. This is a tax difference of about £115 between KLM and BA for an economy flight to Dubai plus less miles if you use a Promo Award ticket. It makes an excellent alternative for families who fly economy and people who don’t accumulate enough miles for business class redemptions. For me KLM appears to become more interesting than BA especially as they have some better times and route availability. 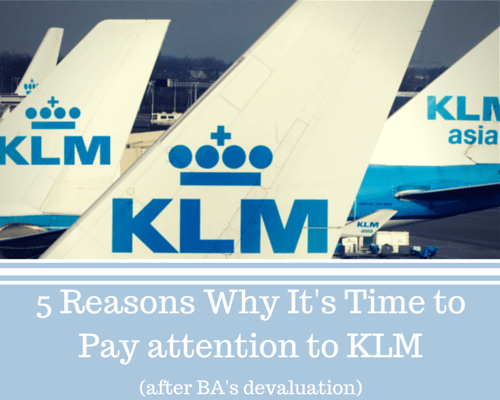 I am one of those who did get hit quite hard with the British Airways devaluation. I was planning to run for Gold this year however now I am reconsidering. I use most of my Avios to fly between UK and Greece/Bulgaria to see my family so if this option is gone I need to find alternatives. 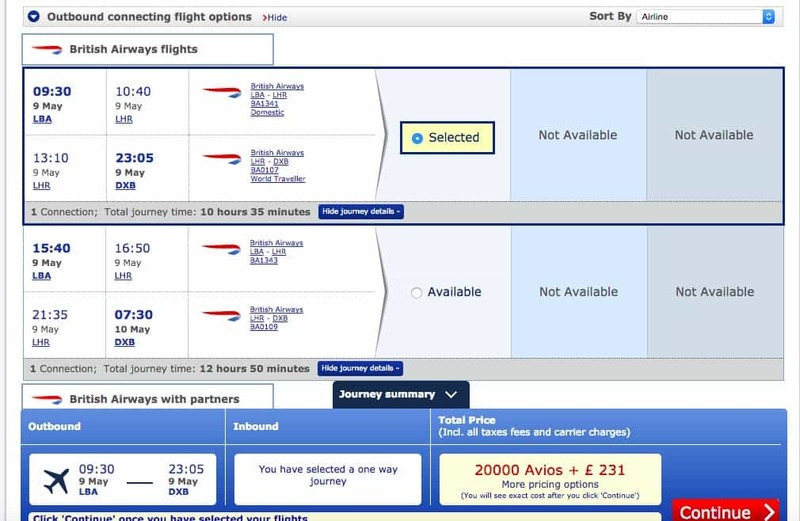 Even though I don’t mind the extra Avios I hate the fact that they are abolishing the free connection which to me simply says “Who cares about non-Londoners”. It seems to just establish more the fact that London and the rest of the UK never were the same.